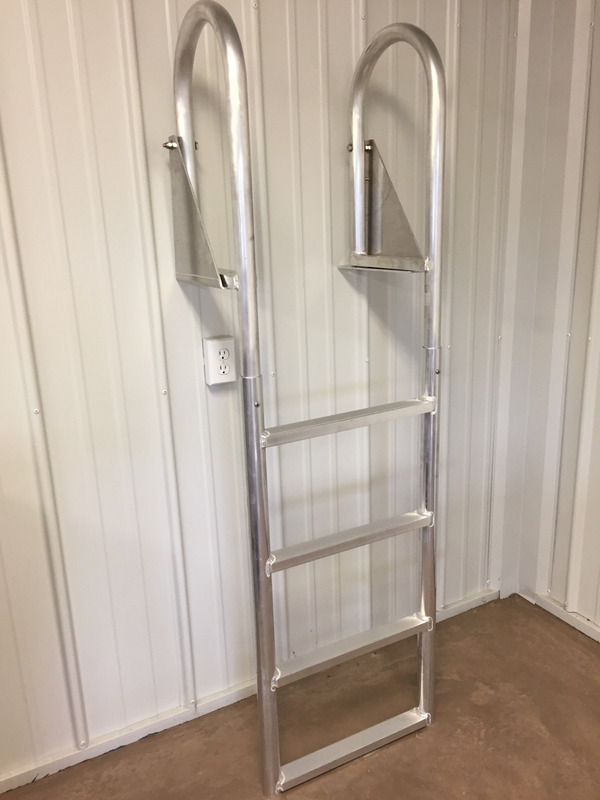 Heavy Duty Flip Up Swim ladder with 4 steps. Extends 49” below dock surface. Comes with 4' mounting hardware.